Los Angeles County courts hear more than 54,000 eviction cases every year. Now, the L.A. City Council is moving forward on a motion that could lay the foundation for giving tenants in those cases the right to a lawyer — a move sponsors say would even the playing field between renters and landlords and help stop the slide into homelessness for many tenants faced with losing their homes. Tenants typically represent themselves in eviction cases and face off with their landlord's attorney in unlawful eviction cases. "One of the biggest problems for our district is that everyday people just don't know the rules," said Councilmember Marqueece Harris-Dawson. "Owners send letters saying, 'you have to move for this reason or that reason,' and there's really nowhere to turn except for the council office — which is really not an appropriate place for people to have to reach out for help. But as of now there isn't really a set place for them to do that." Details of the proposal, which is sponsored by Councilmember Paul Koretz, haven't been worked out yet. 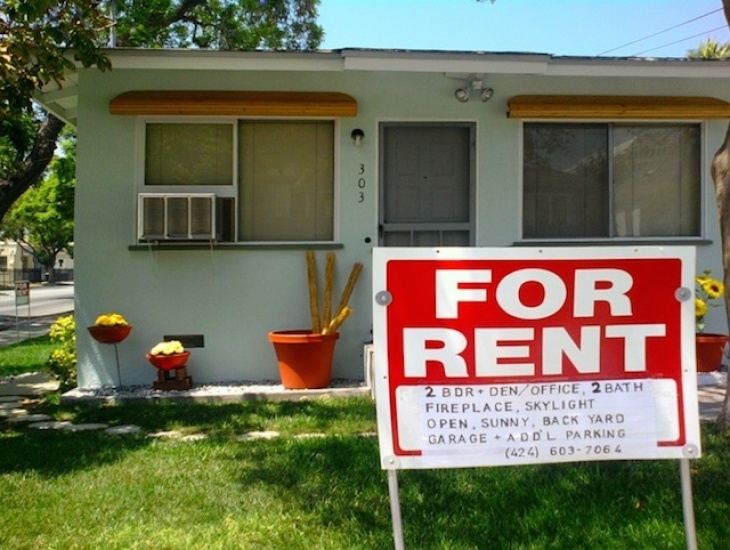 But discussion at a committee meeting on Wednesday veered towards endorsing a program that would strengthen L.A.'s existing grassroots network of tenants unions and eviction defense legal clinics. Representatives of organizations like the Inner City Law Center, the Los Angeles Community Action Network, the Los Angeles Tenants Union, and Neighborhood Legal Services spoke in support of the city willingness to consider a right-to-counsel program in L.A.
Cassandra Goodman, who oversees Neighborhood Legal Services, said the right-to-counsel idea is similar to the American public defender system. "It's the same concept," Goodman said. "Someone should have a right to housing. So, when someone has a right to housing, they should have representation when they are facing a judge and administrative proceedings that will cost them that housing." And, Goodman said, those protections would potentially slow the pace at which vulnerable tenants are falling into homelessness. About 11 percent of the unsheltered in L.A. County directly cite eviction or foreclosure as the cause of their homelessness, according to the Los Angeles Homeless Services Authority. About 40 percent say it was because they lost a job or other financial reasons. New York City passed a law promising legal representation to any low-income renter facing eviction in 2017. Likewise, San Francisco voters passed a ballot proposition in June that orders their county supervisors to do the same in that city. The single opponent of the idea at the Wednesday hearing was Janet Gagnon, the director of government affairs for the Apartment Association of Greater Los Angeles (AAGLA). "The problem with this proposed ordinance is that the right to counsel simply gives money to defense attorneys," she said. "It does nothing to help tenants pay their rent. We would encourage this city council [to give] vouchers so that people can avoid the eviction process entirely." For the motion to move forward, it needs approval from the full council. If passed, city workers would spend four months developing a framework as to how such a program could work before reporting back to the councilmembers. CORRECTION: This post was updated to reflect that a quote originally attributed to Councilmember and Housing Committee Chair Gil Cedillo was actually said by Councilmember Marqueece Harris-Dawson.